LCS are a cleaning company that provide high-quality cleaning services to Milton Keynes. With over 20 years of experience, LCS are able to deliver the best cleaning service possible. We use the latest technology to ensure that our clients get the finest experience, such as our telephone logging system which allows us to track our staff’s timings and helps us keep track of how much time was spent cleaning. This stops our clients from paying more money than they need to. We only hire the best workers, so you get the most for your money. We make sure that all of our employees are highly trained and fully equipped with the necessary skills that will allow them to clean a variety of environments and to be able to maintain them to a professional standard. School Cleaning – This include sub-services such as chewing gum removal, desk cleaning, whiteboard cleaning and more. Office Cleaning – We make sure that everything from the office kitchen to the office telephones are spotless. Commercial Cleaning – Our commercial cleaning service covers a wide range of commercial businesses, such as hotels. Industrial Cleaning – Our cleaners are trained to clean windows, factories, graffiti and other industrial cleaning facilities. We guarantee that you will be satisfied with our high-quality cleaning services at competitive prices. LCS has been a stand out cleaning company in Milton Keynes for years with some of the top UK accreditations to our name. 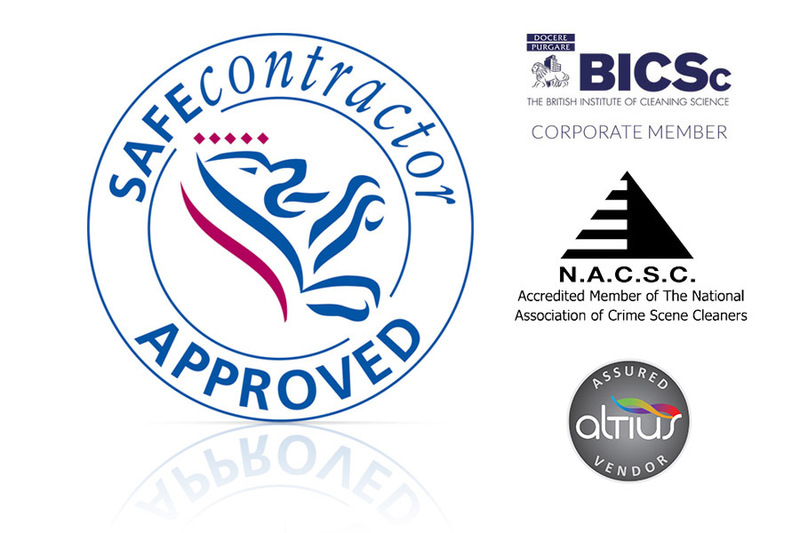 Some of these accreditations have come from the National Association of Crime Scene Cleaners, Safe Contractor and the British Institute of Cleaning Science. Milton Keynes is a large town based in Buckinghamshire and is around 45 miles North-West of London. Milton Keynes has a large population of around 200,000 people and is expected to increase to half a million over the next 3 decades. Milton Keynes has recently become home to some large international companies including Mercedes-Benz, Red Bull Racing and Argos. If you have a business located in Milton Keynes, whether it be a school, office or another facility, contact LCS today to see what we can do for you by either visiting our contact page or by giving us a call on 01604 926004. Our highly trained staff are able to perform a huge range of cleaning tasks to the high standard you have come to expect. With more services being added regularly, LCS is constantly diversifying its business model.